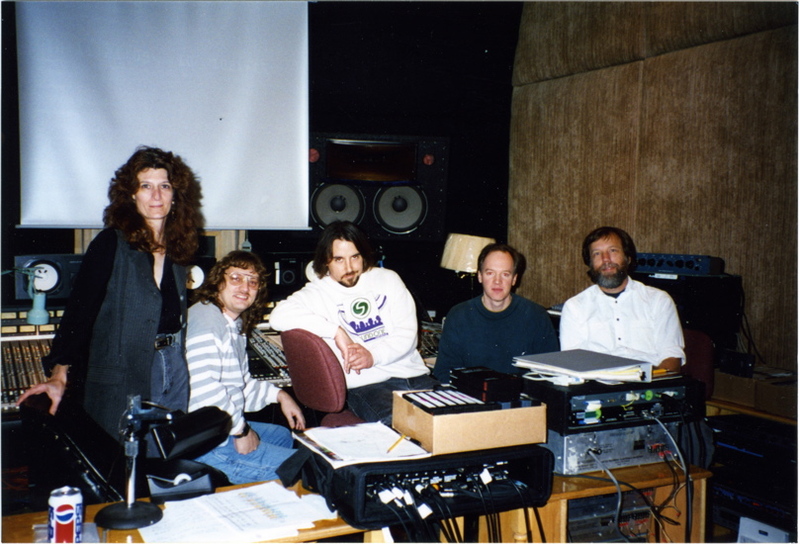 Sandra Adair, Larry Seyer, Richard Linklater, Tom Hammond and Wayne Bell during the mix of "Before Sunrise" at Austin Recording Studio in 1994. A stack of ADAT decks is behind Wayne. A total of seven were linked together for the final mix. In this video Tom Hammond cuts Foley on a moviola. The Foley programming and editing was done at Danetracks in Santa Monica. The Foley was recorded next door at JDH Sound. The working title of the film was "Pay Dirt," but the film was released as "There Goes the Neighborhood." Foley artists are Ossama Khuluki and Catherine Harper. Tommy Goodwin is the Foley mixer and Tammy Treadwell is the Foley recordist. Soundcrafter was started by Tom Hammond in 1993. For six years before he worked as a Foley editor at Danetracks in Los Angeles. Within months of arriving in Austin he met filmmaker Kim Hinkel. Kim was looking for help with the sound for his film "Texas Chainsaw Massacre: The Next Generation." With digital ADAT recording technology recently introduced and Austin music mixer, Layer Seyer, willing to try his hand at film mixing, Tom was able to supervise the sound for Kim's film without leaving Austin. For “Chainsaw” sound editors worked out of Danetracks, but for the next film, Richard Linklater's "Before Sunrise," Wayne Bell joined and cut the sound effects in Austin. Rick's "subUrbia", in 1996, was the first feature where the sound was entirely edited and mixed in Austin. Growth in the Austin film community led to the creation of the studio at 1501 West 5th Street in 2001. As the Pro Tools technology developed and mixing features were added, outside help for re-recording was no longer needed. Feature work from Richard Linklater and episodic television from Austin based Megalomedia significantly helped with Soundcrafter's growth. Filmmaker Justin Hennard joined Soundcrafter as a sound editor in 2003, Foley recording started with Susan Fitz-Simon joining in 2008, and UT graduate Glenn Eanes joined in 2010. In 2013 the 5th Street building was torn down to make room for the expansion of a car dealership. The difficulty of losing the facility turned into an opportunity to build a unique space. 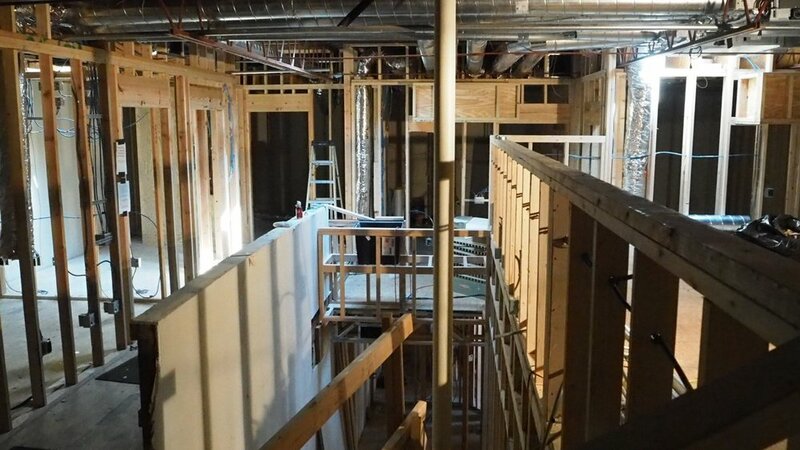 While the design and construction happened over the next four years the main mixing room was the master bedroom of a house in Southwest Austin. By the end of November 2017 Soundcrafter had completely moved into its new facility in Austin’s Rosedale neighborhood.